Pianist, Composer and Trombonist Jo Junghanss is a musician trained in classical music as well as jazz styles, working mainly Germany as well as in New York City, where he started studies as a Fulbright Scholar. Jo is currently teaching jazz related subjects at Manhattan School of Music’s young people’s division. He founded the project Music Works! 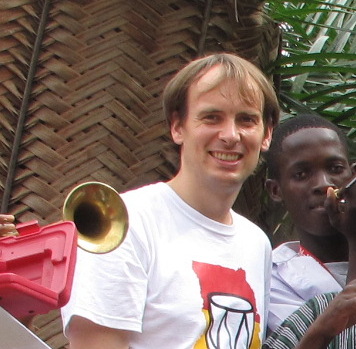 in 2010 as a grantee of Davis Projects for peace which lead to the Kopeyia School Brass Band in its current form.